Home » IEP Advice for Parents » Should I receive a copy of the IEP before the meeting? Should you receive a copy of the IEP before the meeting? Oh lordy. Do I remember that day! Kevin was still a baby and it was one of my first IEP meetings. That woman really tapped a sleeping bear. I had read about IEPs, as much as I could digest. But it was that meeting, the one that told me that my gut was right and they were wrong, that prompted me to become an advocate. And now I share my IEP knowledge with thousands of parents. I was being railroaded and my son’s IEP might as well have just said “predetermination” across the top of each page. Because it was read to me in the meeting and I was told that no changes would be made. If you’re in special ed land, surely you’ve heard both sides of this argument. So who is right? This is a question that comes up, in various forms, from parents in our Facebook group. Receiving an IEP before the IEP meeting-yay or nay? Parent has requested an advance copy of the IEP and is told no. So what can you do? But me? I’m on the other team. I want to see a draft beforehand. My son’s last IEP, including evals and behavior plan was almost 100 pages. I don’t want to sit there and hash out all 100 pages as a team. But, I am one of the lucky ones. My son’s various team members asked me for input ahead of time. The OT, PT, Speech, behavior…they all either talked to me in person, via email or had me fill out a form beforehand asking my concerns. They sent me goals that they were considering putting on the IEP or changing. They reminded me of last year’s goals, gave me a quick update on progress and made suggestions. Then, I was given a draft that said DRAFT on every page. And the team went over it. We reworked a few specific items, deleted a few goals and as a team decided to make some new concerns a goal for Kevin. Clearly, you can see that this was NOT a case of pre-determination. I was given ample opportunity beforehand to participate in the process. Truth is, if you are participating in all 5 essential parts of the IEP process, then the IEP meeting should hold no surprises. That is not always the case. If you have a Jiffy Lube IEP meeting, then that is pre-determination. And that’s a big no-no. You also could be repeatedly told that an advance copy is not available, yet when you get to the meeting, everyone but you has an advance copy. Well, that’s just rude! Unfortunately, IDEA says nothing about schools being courteous to parents. I would however make note of it when I do my after-IEP meeting letter. “Dear so and so, blah blah blah, I find it unfortunate that everyone else on the IEP team had an advance copy of Jacob’s IEP. As you know, parents are an equal member of the IEP team…” If it’s really bad, file an OCR complaint about denying you meaningful participation in the process. Can a parent ask to receive an advance copy of the IEP? There is nothing that is a violation. That is in the spirit of IDEA, that the team draw up the IEP together. If this is creating monster long IEP meetings, you might bring it up at the meeting. Suggest that you work together in parts and draw up a draft so that meetings are shorter. Either the person who was compiling all the team members’ data and creating the IEP did so at the last minute, and maybe only printed it that morning. It happens. If that is the case, make a note of it in your parent concerns/parent letter of attachment. “If possible, in the future I would like more time to review the IEP prior to the meeting. This will help me collaborate with the team better and have meaningful participation.” But remember, per IDEA, they are not obligated to give you a copy ahead of time. 2. There was a draft, but you were not given one. This is predetermination. Parent participation is one of the tenets of special education. If you are denied parent participation and you do not agree with the IEP, you can do several things, including: file an OCR complaint, disagree with PWN, etc. Each of those topics has already been discussed at length on here. Use the search bar to find them. 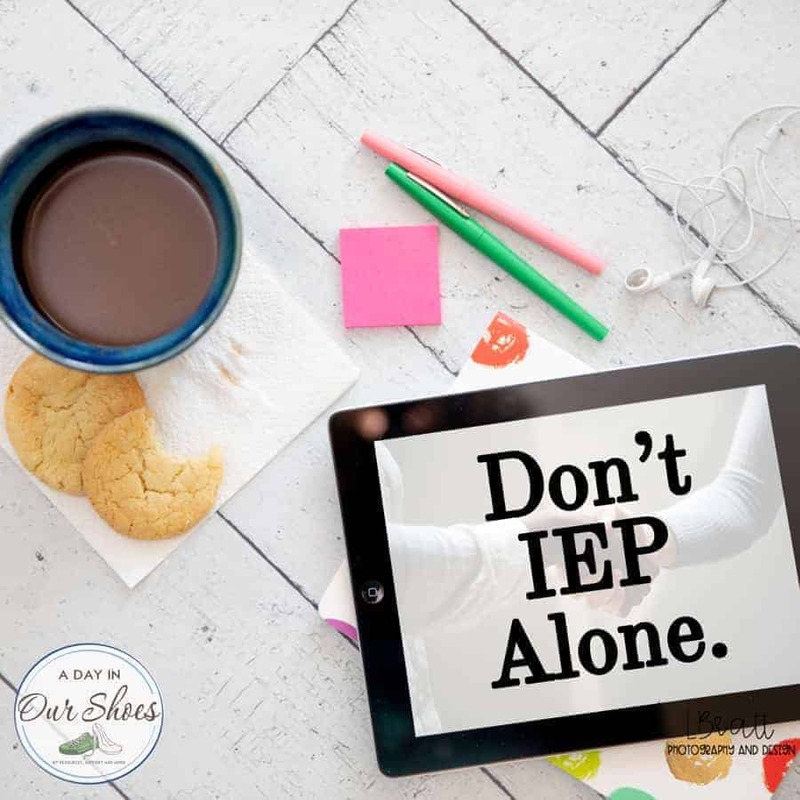 If you do find yourself in a pre-determination situation, hold on to the documents, specifically that IEP. Particularly if it is dated prior to the IEP meeting date, and if it has significant changes to it (compared to previous IEP) that is your smoking gun, so to speak, to prove pre-determination. As stated above, take your full 10 days to read and digest this IEP and use the time to get assistance if you are going to advocate for changes. In the end, if it’s working for you and your child and your team, great. While a pre-written IEP does lend itself to a pre-determination argument, that is not always the case. As long as it’s a team effort and your child’s needs are being met, that is what matters. This post was recently updated to fix information and links.